The 50-minute delay did little to dull Justin Verlander’s skills. Although Jacoby Ellsbury quickly dismissed the notion that Verlander would get a second no-hitter with a line drive single to start the game the Red Sox batters mustered just one extra base hit (a double by Jason Varitek off Verlander in the sixth) against the Tigers staff. Just ten days prior to last night’s contest the Tigers ace held the Red Sox to three runs over eight innings only to have his team lose in the bottom of ninth. Last night Verlander triumphed in his rematch against Josh Beckett. This game was on the verge of being blacked out due to MLB’s blackout rules, which state that “each Sunday with a scheduled start time after 5:00 PM ET, will be blacked out in the United States (including the territories of Guam and the U.S. Virgin Islands). In addition, in the event of circumstances that produce a programming conflict or change in schedule, the above blackout windows may be subject to change.” Credit should be given to ESPN, who waived its Sunday exclusivity so that NESN and Fox Sports Detroit could broadcast the game to the teams’ fans. Jim Leyland tapped Jose Valverde again to pitch the final inning and for the first time in their standoffs David Ortiz didn’t give a fan a home run ball for a souvenir. Valverde made Joba Chamberlain look like Mariano Rivera with his post-game gesticulations. Toreadors have less bravado when facing down bulls bloodied by banderillas. Not that nine innings of futility by the Red Sox lineup made for compelling television. If Terry Francona wasn’t in the middle of trying to squeeze one run out of the stingy Detroit hurlers he would have joined Jerry Remy in chiding Don Orsillo about the Providence Journal’s feature on him. The article appeared today rather than Sunday as previously stated, a fact that won’t go unnoticed by his colleagues. “You bring nothing to the table,” Francona frequently quips in pre-game media briefings. 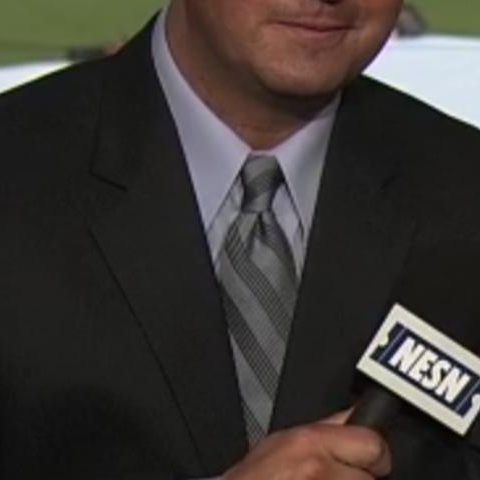 Not even a new tie; Orsillo used the same jacket and tie combination from the afternoon game in the evening’s contest.